Sometimes it’s hard to be building a business that is doing something completely new. You can look really crazy or naive to a casual observer. I imagine the founders of eBay, Pandora, Twitter etc. felt the same. Thus I loved it yesterday when this reporter “got it right” and explained The Grommet so well. Thanks Xconomy and Greg Huang. 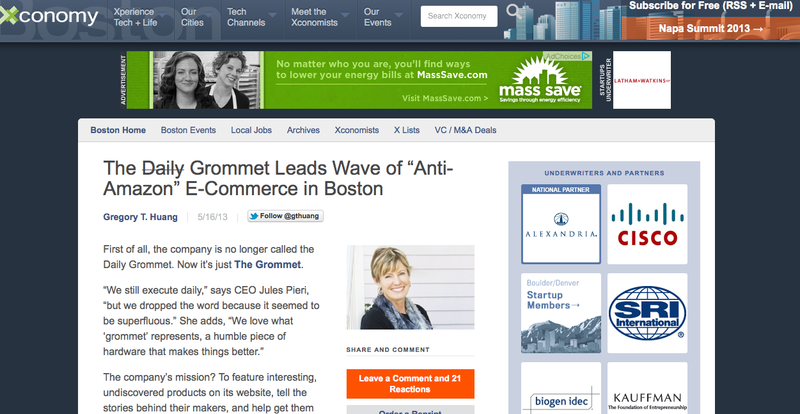 This is why I always read Xconomy. I figure if they get it right for The Grommet, they get it right for all the companies they cover with their hyper-local tech coverage. 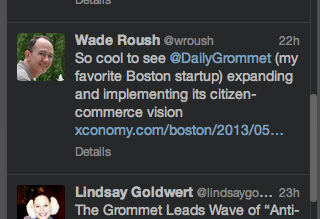 I also really appreciated this Tweet from Xconomy’s Editor (based in SF) Wade Roush, who also wrote one of the very first great pieces on our business.